We love Cheltenham's restaurant scene and with great food comes the opportunity to drink great wine. The town's most recent high-profile opening has been the latest outpost of the growing Ivy Brasserie behemoth, occupying the beautiful Rotunda building in Montpellier. To most people my age, that means being dragged around its previous long-term tenant, Lloyds Bank as a child, staring up at the ornate ceiling or playing with the wooden bead toys. Nowadays, fully fledged and hungry, we're just as likely to be staring downwards at artfully decorated plates of tuna carpaccio and crab linguine as we are the rightly admired early 19th century, Roman-inspired dome. Unsurprisingly, the first thing we look at it any new restaurant openings is the wine list. Initially, it's the hunt for bargains and a hopeful scan for the iconic or (shudder) trendy bottles we've seen being flaunted on Instagram. But before long we're hungry and trying to work out what will go with the food we've chosen. Or just as often deciding what food will go with the wine we've chosen! 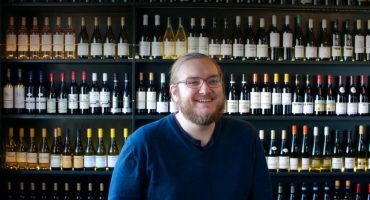 In this Blog series, we'll be looking at how we approach food and wine matching with restaurant dishes from some of our favourite restaurants in Cheltenham and beyond, picking out great wines from their own lists and a few of our own that would work well at home. The Ivy Brasserie group mirrors its big sister, The Ivy in Covent Garden with a menu of British and International classics given the occasional flourish of Insta-worthy healthy eating or theatrical presentation. It's vast, and therefore almost impossible to choose from, but this does leave all doors open for food and wine matching. Here are a few of our favourites. There is a Japanese influence to the tuna carpaccio starter, with the fermented sweetness of miso in the mayonnaise, gently citrusy ponzu dressing and sesame. While the dressing has some acidity, the dish's character equally revolves around the balance of salt, sweet and umami. 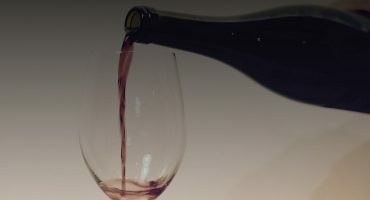 We are generally taught that when pairing wines with acidic foods, the wine needs equal or higher levels of acidity to ensure the wine isn't perceived as flabby or lacking in structure. Ironically here though, the dish itself is all quite soft and delicate in texture, and a wine with too much acidity will quickly dominate. If you like your wines on the bright side, the Ivy Brasserie's Markus Molitor Riesling from Mosel in Germany would be a great match, and it does have a smidge of sweetness to match the watermelon and tomato. Top notch Gewurtztraminer would be another interesting match. Ours is made by the Caves de Turckheim cooperative in Alsace from old vines, with ripe lychee and rose petal character and a full, mouth-filling texture. This isn't far off though. Salty, crisp-skinned roast chicken and buttery, oaked Chardonnay is my personal go-to, and I'm happy to say I can vouch for the Domaine Vincent Latour Meursault as it's what we had at our Christmas meal in Bristol earlier in the year. It's a little bit criminal to be drinking white Burgundy of this quality so early in its life, but when the vintage is as good as 2015 was, it's a shame not to be drinking them already. The match here is in flavour as much as it is the wine's characteristics. Gremolata, the Italian union of garlic, parsley and lemon zest is fresh and bright, but without any lemon juice, isn't actually too acidic. All the wine needs to do in that sense is provide some zippy contrast to the delicious, delicious chicken skin. The key aspect of this pairing is the wine's combination of additional flavours from the oak ageing and the creamy texture and buttery flavour from malolactic fermentation, where the apple-esque malic acid is converted to lactic acid, more common in dairy. This is common in Chardonnay from Burgundy in France, as well as other countries like the USA, Australia and New Zealand, and in a large proportion of all red wines produced. From the shop, we love the Au Bon Climat Wild Boy, which also makes a regular appearance in the Enomatic tasting machines in our Cheltenham Wine Library. Red meat generally needs the tannins of red wine (or at a push, orange/skin contact whites), but even within that broad remit, lamb is remarkably flexible. This dish features slow-roasted shoulder which is at the stronger tasting end of the lamb spectrum. We need a wine with fairly strong flavours of its own, but only enough acidity to balance the fat and tannin to match the texture of the lamb. From the Ivy's list, we'd go for Paul Jaboulet Aîné's St Joseph, a Syrah from the Northern Rhone. There's plenty of brambly fruit but also a lovely, dusty black pepper spice which would be delicious with the dark, sticky lamb. The subtle oak influence provides vanilla and spice which help to soften the wine and match with the velvety creamed potato. If darker, even more intense wines are your thing, Malbec from Argentina could work but would be better coming from one of the country's cooler regions, like Salta or Patagonia. The flavours tend more towards black plum and blackberry, with higher acidity due to the two area's cooler climate. The Fin Del Mundo Single Vineyard Malbec is a brilliant example and has become a favourite amongst our Cheltenham Malbec drinking regulars. One of The Ivy's most famous desserts is the deceptively simple mixed frozen berries with warm white chocolate sauce. It's a dish of contrasts; cold and warm, sweet and sharp, creamy and fruity. With so much going on already, we'd like an equally balanced, light Moscato d'Asti, the sweet and sparkling wine of Piedmont. Compared to the soft, soothing berries and chocolate, the fizz of this wine is pleasantly textural, with enough sweetness and acidity to hold its own. Raw Market Salad - The avocado makes this a little richer than you might expect of a thinly shaved vegetable salad. Austrian Grüner Veltliner is a classic match for vegetable dishes, with high acidity and vegetal, peppery notes of its own. The Ivy Brasserie's Grüner by producer Mantlerhof would be great. Whole Baked Sea Bass - Simply prepared fish, particularly without cream sauces, often requires an equally easy drinking white. There's an Italian influence here, with Nocellara olives, fennel and tomato, so an Italian white just sort of makes sense. The olives are famed for their buttery texture and richness, so to keep in line with that, we'd drink the textured Sardinian Vermentino from Funtanalira off the Ivy Brasserie's list. Our Etna Bianco from producer Tornatore, made from the Carricante grape and grown on the slopes of Mount Etna, would be another great match. Chargrilled Halloumi - The saltiness of the halloumi with the spice of both chilli and Padron pepper suggest a few things. Alcohol makes the chilli burn even hotter, so we'd aim for something around 11-12.5% if possible. The saltiness means we can go for surprisingly tannic and/or acidic wine; salt tempers acidity and bitterness. 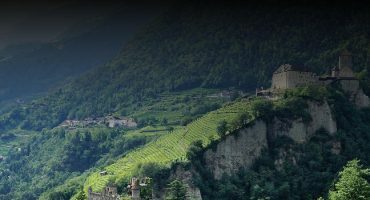 Our Teroldego Rotaliano from Trentino in the far north east of Italy would be an intriguing match. 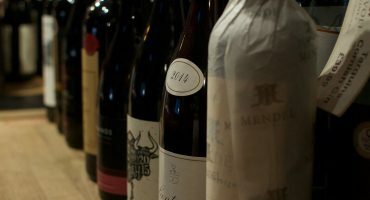 It is surprisingly dark for a wine which varies between 12.5% and 13% alcohol depending on the conditions of the vintage. It has good acidity from being so far north for Italian wine and enough tannin to satisfy red wine lovers. Complex, silky and smooth with a good punch of spicy fruit.